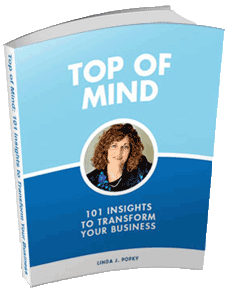 Make this the year your business takes off. Invest in yourself and your business to achieve dramatic results. 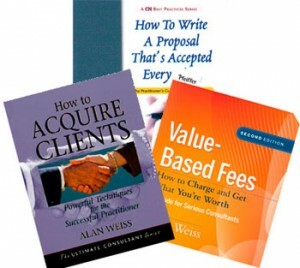 Leverage2Market Associates has been certified to offer the workshops and seminars of noted Million Dollar® Consultant Alan Weiss to consultants and small business people. Linda Popky is the first consultant worldwide to be certified to offer these programs. In one short day, you can learn how to use and apply value based fees, gain a new ongoing stream of clients through the development of a powerful referral program, or develop the powerful language that can help you close client deals quickly and effectively. Our current public workshop schedule is listed below. Don’t see the workshop you’re interested in? Contact us and we will be happy to discuss scheduling additional sessions to meet your needs. Private workshops may also be scheduled for organizations or intact work groups. Contact us for more information. You’re good at what you do. Clients and customers like you. Why don’t you have the nature and value of business you deserve? This one-day workshop is designed to help you create and master the marketing activities that will help you take your business to the next level by bringing clients and prospects to you, rather than you having to chase business on an ongoing basis. Contact us about upcoming sessions. Combining three core programs, this special workshop cuts to the essence of successful consulting, providing participants with the foundation required to drive business growth. Whether you want to jumpstart your practice or increase your momentum, this seminar will provide you with the tools you need to realize rapid ROI on your efforts. 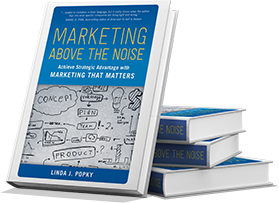 This program, developed under the guidance of Alan Weiss with his endorsement, will be delivered by marketing expert Linda Popky, a Master Mentor and member of Alan Weiss’s Million Dollar Consultant® Hall of Fame. Reviews of last year’s program were outstanding. 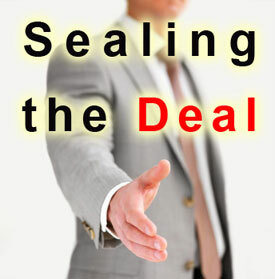 The language, behavior, and beliefs you need to move from preliminaries to project and from meetings to money. This one-day workshop is designed to help you create and master the dramatic, action-oriented language that creates conceptual agreement with buyers. 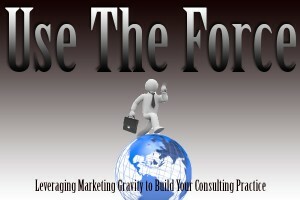 Are you asking for and getting all the referrals you can to grow your business? 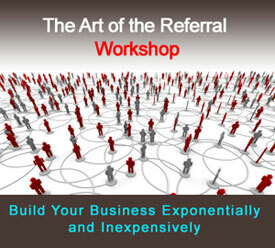 Do you know how to use referrals to create retainers and evergreen clients? Can you approach friends, colleagues, and clients confidently and consistently to ask for referrals?